It is good to see that the Australian Environment Foundation is alive and kicking and is holding its next conference in Canberra on October 11 to 12. The AEF was set up in 2005 by people who wanted to see environment policy evidence based and solution focused rather than driven by green ideology which not only harms humans but quite often also the environment. Their first battle was with the Australian Conservation Foundation, the peak green body in Australia, that unsuccesfully took them to court to prevent them using a name they claimed might be confused with their own. Their chairperson until recently was former TV gardener Don Burke who had to resign because of work commitments. A replacement will be announced shortly. It will be interesting to see who it is. More great news from Iraq!! This is a victory for the Iraqi people, the US, and for democratic forces throughout the Middle East. The negotiations which led to this deal took some time and are yet another indication that Iraq is ruled by its own sovereign, democratically elected government. This is exactly what we wanted (and predicted). Now we are seeing it. I guess the full import will still take a while to sink in among those who opposed the war and predicted initially that its purpose was to install a US puppet government and then sometime later, that Iraq had been tipped into an unwinnable civil war. They were wrong on both counts. If you want to be red, then don’t be green! The Canberra Times (a daily newspaper published in Australia’s Capital Territory) has published an article by me in its Saturday edition (16th August 2008). It hasn’t gone on-line yet but I’ll add a link as soon as it does. The letters’ section may be interesting in response to the article. We live in strange times. Ideas that would normally be identified as belonging to the right are widely accepted as being of the left. Now that Iraq has not disintegrated into ‘endless civil war ‘, the anti-war camp should be feeling some confusion, at the very least. A year ago, the received view was that the situation in Iraq was hopeless. However the news coming out of Iraq over the past 6 months runs directly counter to this. It really is very clear now that the overthrow of Saddam will result in a democratic Iraq. And that’s something to celebrate! 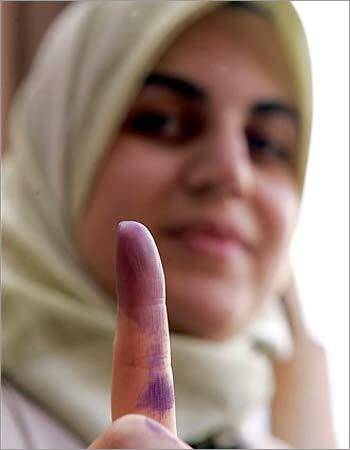 The first democracy in the Arab heartland! 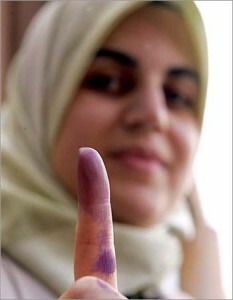 Wonderful for the Iraqis, and potentially something which can change the dynamic of the entire region. Hardly something to sniff at! 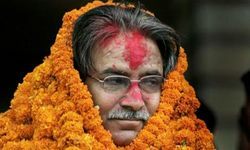 Prachanda is Nepal’s new PM! Pushpa Kamal Daha (better known as ‘Prachanda”, meaning “the fierce one”) has just become Nepal’s new Prime Minister. He received 464 out of 577 votes in Nepal’s Constituent Assembly. In the recent elections, the Communist Party of Nepal (Maoist) received more votes than any other party (although not an absolute majority). So they are “legally” in power. However this legal victory can be traced to the successful Maoist led people’s war in Nepal which forced the holding of elections as part of the peace process. As soon as real elections were on the agenda, the Maoists called off the war and oriented themselves toward winning via the ballot box. This guy has got Saudi women glued to their television screens. He’s the male star of a Turkish soap opera which has been dubbed into Arabic and is broadcast across the region by Dubai based MBC 4. Our men are rugged and unyielding,” quipped a 26-year-old Saudi house-frau who preferred to remain unnamed. “I wake up and see a cold and detached man lying next to me, I look out the window and see dust. It is all so dull. On Noor, I see beautiful faces, the beautiful feelings they share and beautiful scenery. Although the Middle East has satellite access to many foreign soap operas, this one has struck a very deep chord because the characters are Muslims. The motor vehicle is one of the key features of modern affluence along with such things as plumbing, electricity, universal education and modern health care. It gave us mobility and independence, and allowed us to move from the slums to the suburbs. It has various shortcomings as we all know. Driving is stressful and dangerous, with millions killed and disabled every year. 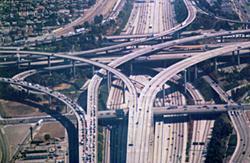 And when there is insufficient investment in freeways and public transit, it can eat up a lot of our time. There’s a new documentary feature film being produced by PhelimMcAleer and Ann McElhinney called ‘Not evil, just wrong’. It counters the dominant global warming alarmism, particularly Al Gore’s widely distributed film. 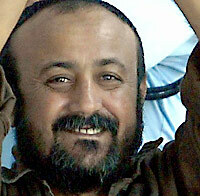 It appears that Abbas has ‘won’ the release of the first group of ‘important’ prisoners/hostages (150 or more). We can now predict that in a few weeks time Hamas will get another 300-400 released (less prominent hostages) in exchange for the Israeli soldier Gilad Schalit, or some such arangement.